The goal of Woodard Events is to empower small business advisors through training, networking opportunities, resources, consulting opportunities and coaching programs, with the goal of impacting the way small businesses operate. The company was challenged with many inconsistent brands, which confused clients and diluted the value of the overall corporate brand. They engaged id8 to help them strengthen their overall brand identity with consistent visuals and messaging and provide creative design on a trade show booth and support materials as well as other print materials. The id8 team utilized experiential design to gather information and evidence that would support brand recommendations. Using a proven, process-driven approach, the team created brand standards that included a consistent color palette, font usage, image style, illustration style, and—believe it or not—consistent use of white space. With the brand foundation firmly in place, the team then moved on to branding one of the firm’s annual conferences—focused on empowering its ProAdvisors to create their own “Epic Practice.” The inspiration: The Greek god Poseidon, who controlled Earth’s oceans. He became epic in the eyes of the ancients, and his name still represents that same power today. The design’s large wave and ancient stones emoted a powerful feeling of history and heritage. It was a huge hit, not only with Woodard, but also with the 1,200+ attendees of the conference. When we decided we needed a new marketing company to partner with, we were extremely pleased to discovered id8. After our initial meeting, we were immediately impressed with the professionalism as well as their ability to listen and understand our vision. Kriston and her team provided us with the proper branding tools, media kit, and they were able to create the perfect graphics and messaging for our 2016 and 2017 annual conferences. We are grateful they are part of the Woodard team and an extension of our marketing department. To confirm that the branding effort was successful, the team held focus groups with conference attendees. 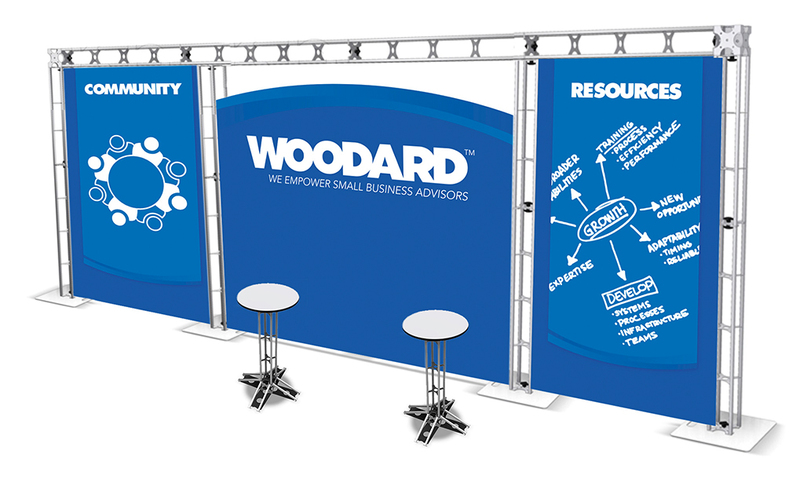 Across the board, attendees responded that they clearly recognized the Woodard brand and understood what it stands for. The brand has been elevated in the eyes of customers, ProAdvisors, and conference sponsors. The Woodard marketing team now has guidelines in place to keep the brand sustainable for years to come. The brand is not only effective, but practical. 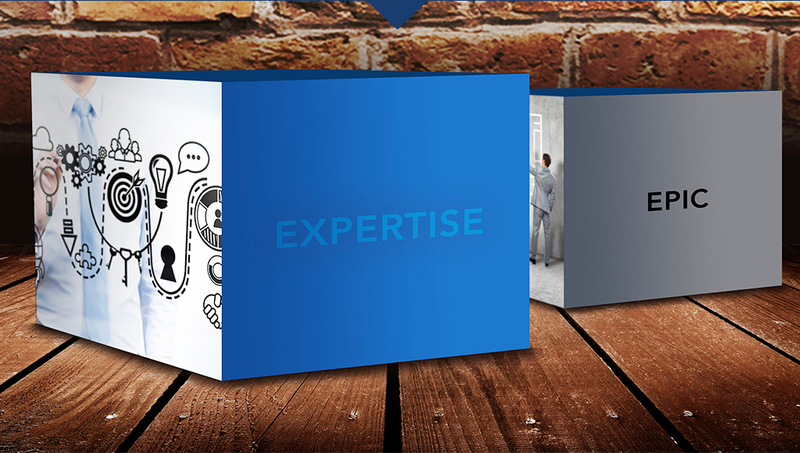 It can be duplicated in additional digital and print formats while maintaining its integrity. 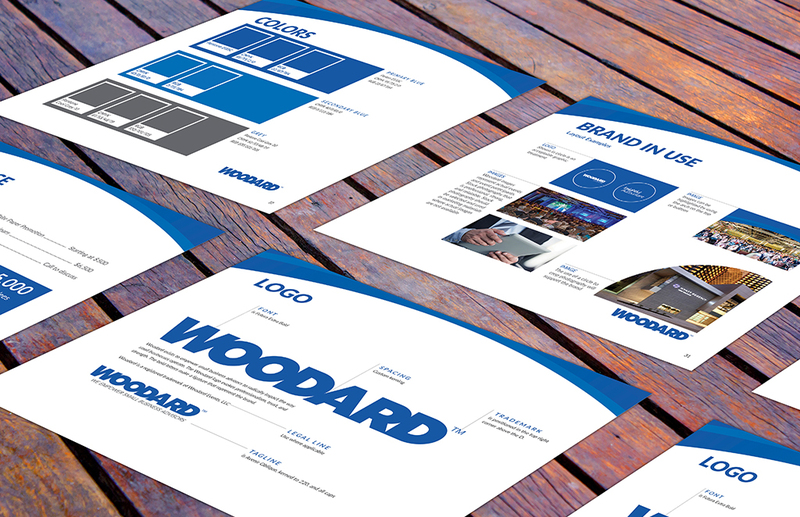 This consistency will help both current and future clients remember the Woodard brand.